The idea that creativity fades with age is false. Twenty-five years ago, I wrote a book on creativity called The Artist’s Way. Over four million people have worked with that book. I have taught many live classes and have often found my just-retired students to be the most poignant. Setting out to write a book on creativity and aging, It’s Never Too Late to Begin Again, I discovered that many of us have a fiery passion we long to express in our golden years. As we turn our hand to the page, crafting a memoir of our time on the planet, many dreams surge to the fore. It is not “too late” to begin their pursuit. Often, our life’s experience gives us a “leg up” in creating meaningful art. Comfortable in our own skin, we may find the gift of candor as a passion that has been brewing for decades pushes to the fore with energy and conviction. We are taught to believe that negative equals realistic and positive equals unrealistic. Nonsense. Internalizing these destructive messages, we believe we’re “too old,” decide it’s “too late.” But “I’m too old” is something we tell ourselves to save ourselves from the emotional cost of the ego deflation involved in being a beginner. In the moment of creation, we are ageless. We feel both young at heart and old and wise. “Artists work until the end,” my photographer friend Daniel said to me recently. Yes, they do. This is why retirement from one career— even if it is our major career—is not, by any means, “the end.” Because the act of creating something, anything, renders us timeless, because the act of creation is led by that inner, youthful part of ourselves, we continually reinvent our lives through our art. The capacity to create is as innate as our very life force. I would even say that our creativity and our life force might be one and the same. Julia Cameron is the author of more than 30 books, including The Artist’s Way, Walking in This World, Finding Water and, most recently, It’s Never Too Late to Begin Again. See the original post by KYLAH GOODFELLOW KLINGE at theatlantic.com. In a 2008 study published in the journal PLOS, Charles Limb, an otolaryngologist at the University of California, San Francisco and accomplished jazz saxophonist,and Allen Braun, a speech researcher at the National Institutes of Health, designed a clever way to observe creative expression in the brain: an fMRI machine with a specially made musical keyboard. The two men recruited six professional jazz musicians for the study; while in the fMRI, the participants performed musical exercises ranging from a memorized scale to a fully improvised piece of music. So what determines what creative path a person takes at any given moment? Their findings support a fundamental model of creativity developed by Arne Dietrich, the author of and a professor of psychology at the American University of Beirut. Dietrich argues that the brain’s prefrontal cortex is central to creativity, and depending on the particular creative activity, the region will either significantly slow—as it did in the jazz study—or ramp up. In other words, creativity is necessarily a variable phenomenon. At times, it’s the composer’s strict pen: intentional, revisionary, critical. And at times, it’s the spontaneous new melody: unconscious, experiential, flexible. So what determines which creative path a person takes in a given moment? Earlier this year, Limb co-authored a new study led by Malinda McPherson, a doctoral candidate at the Harvard-MIT Program in Speech and Hearing Bioscience and Technology, to address that missing element. The study also asked jazz pianists to improvise in an fMRI scanner; this time, though, the musicians were instructed to first review photographs of a woman wearing a positive, negative, or neutral expression, and then to try to match the photo’s mood with their improvised melodies. The results were somewhat surprising. McPherson’s team predicted the creativity-related DLPFC deactivation from the previous study would be found equally in the negative and positive improvisations, but it was much more pronounced during the happy trial. The researchers also found that the negative-photo improvisations showed greater activity in certain brain regions connected to cognitive control and reward; specifically, there was increased connectivity between the insula, an area that controls visceral awareness, and the substantia nigra, an area responsible for reward and pleasure. Positive emotion seems to be related to a deeper state of creative flow. Broadly, McPherson’s findings support Dietrich’s argument that creativity doesn’t stem from one easily definable process or brain pattern. The results also indicate that “emotion has a huge effect on the way our brains can be creative,” McPherson says. Positive emotion, for instance, seems to be related to a deeper state of creative flow. Her findings also seem to indicate that unhappy artistic expression requires more conscious restraint than happy music—but may also be, on some level, more rewarding. “Sadness in art is perplexing,” McPherson says. “People love performing and listening to sad music, but generally try to avoid sadness in other areas of their lives.” It may be that the arts give us the chance to safely practice and experience a range of emotions, she says—or, as Wharton writes, to experience feelings “quite unrelated to the joy or sorrow caused by real happenings, but as intense.” Sad music, then, could be especially pleasurable because the musician “knows that the sadness is coming from the art, and not from any other loss,” McPherson speculates. Happy art, on the other hand, may allow a deeper creative flow because it carries less emotional risk, even if it also means less of a reward or release. Of course, the more questions that are answered, the more questions arise: Do the findings about jazz improvisation apply equally to other forms of art and music? If there are distinct paths to creativity, how can we steer our brains to enter a state of creative flow? What happens to the brain during those more deliberate creative efforts, such as revising an artistic work? The Red Hot Authors present Red Hot & BOOM! A Sizzling Hot Collection of Stories. Celebrate Independence Day with Ten Books from Authors who will Heat Your Summer Nights!, You will fall in love with the characters! Want to de-clutter your home and live in a stress free environment, but feel like you do not have enough time? You can! Take back your life! This book is about having a plan for getting your life and things around your house under control. 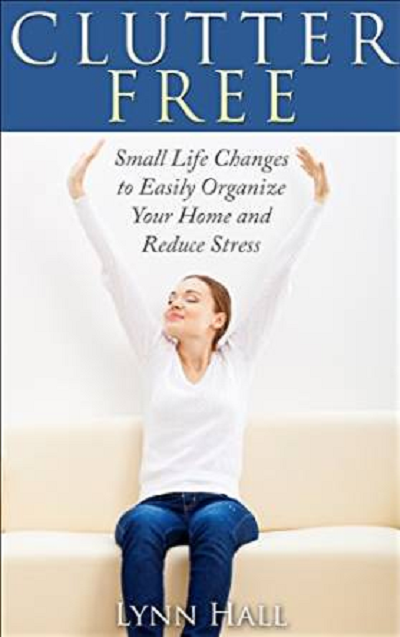 Learn which items to keep and which ones to let go of which is incredibly vital when you are attempting to de-clutter your home, reduce your stress, and simply streamline your day-to-day life. 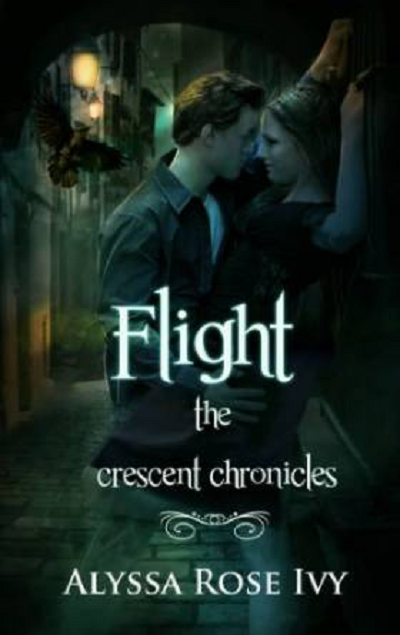 With over 175 five-star reviews on Amazon: Allie is spending a summer in New Orleans when she meets mysterious and enticing Levi, who takes her on a supernatural journey that will cause her to question everything she thought she knew. 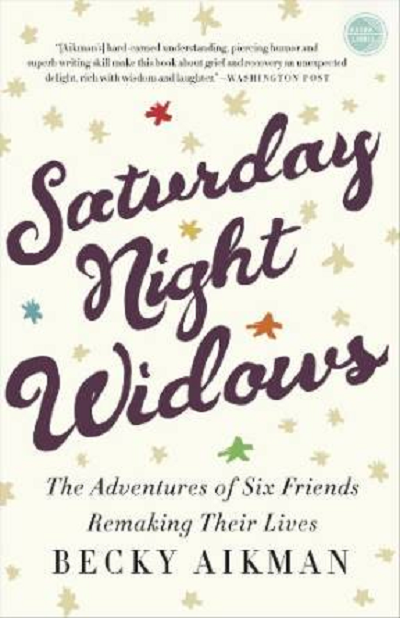 In this “testament to the durability of the human spirit” (People), Becky Aikman shares her struggle with grief and her gradual adjustment to life after her husband’s death — with the help of a group of women known as the Saturday Night Widows. “An unexpected delight, rich with wisdom and laughter” (The Washington Post). Dive into this mouthwatering guide to everything from soups and salads to pastas and frittatas. 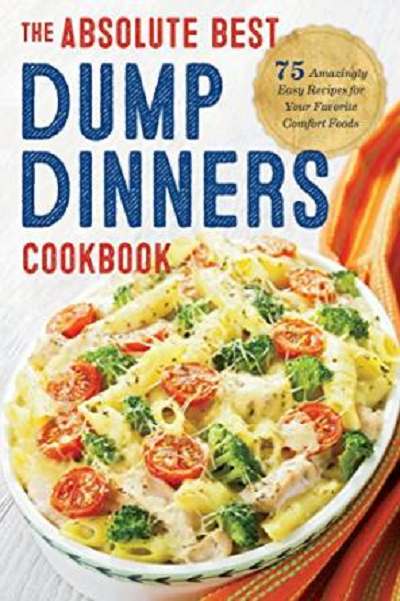 With 75 delicious recipes that require minimal prep time, this book is ideal for the busy home cook! Want to feel healthier, happier, and more complete? Learn to practice gratitude every day, with proven techniques that might just change your life! 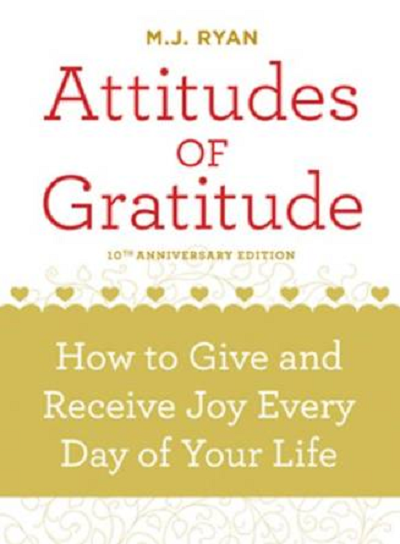 “This little book is an elixir for the soul” (New York Times bestselling author Kathy Freston).